Hello Friends! This weekend we have another “Event” for us to talk about! Although I look forward to having something else to do, I will admit that I am much less excited about this then the previous Events. Still, it is worth chatting about how to approach this event format. My article last week seemed to be reasonably popular, so why not run it back! 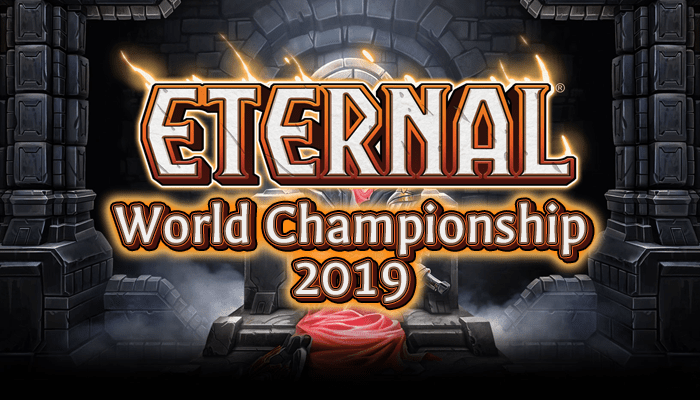 Given that the format is a little shallower than the last event I don’t think there is quite as much to say, but certainly enough to put an article together! We are going to go through the same stuff we did last time (cards that get better, cards that get worse, and then 10 individual deck lists along with hypothetical match up information) so let’s launch in! This card is an all-around hero as everyone knows, but here he becomes one of the very few forms of silence available in the format. Given what I expect from the metagame, there were be no shortage of work for him to do, as you will see. Given that this just elevates his status from A to A+ it is hard to really say he has gained a ton of ground, but he is probably a 4x inclusion in every Justice deck. Mono Fire is going to be a very real deck once Groundbreaker joins the meta, but we will get a preview of that this weekend. If the event ends up being a midrangy soup, I feel like a card like Flash Fire will be part of the closing mix for Burn decks. I’m not sure what mix of Flame Blast, Obliterate and Flash Fire people will actually want to play, but any play is an improvement over none! Mono Time isn’t known for its interaction. It most common form of interaction is bashing your with Dinosaurs. Given that this event is very likely to be almost exclusively midrange heavy unit bash-fests, Predatory Instinct seems like an important and versatile tool (not to mention Dawnwalker/Copper Conduit synergies). Read the card. I’m sure you can figure it out. Although Annihilate is clearly a massive winner here, Veteran Mercenary probably still gains the most from this unique format. Given that he sees very little play outside of a format like this, he has a lot of room to gain. I guess when DWD wants to make a promo that was a format all-star, so they just designed a format around a card! Although Mono Primal decks exist, I feel like they are going to have a very limited pull in the field. They are not as good at practically anything that the other decks are capable of. In addition, there is a real chance that almost every Time deck should be playing Inifinite Hourglass, which obviously wrecks this. Still playable, but I am sceptical for sure. I do think a Justice based control deck is viable, but I am certainly not excited about it. As I mentioned last week, Harsh Rule really wants more factions of support, and here it has the least support possible! Yeah, it will still do work, especially in a format that is extremely midrangy, but it is certainly not at its best. As I said last week, any format where Annihilate is good, Deathstrike is probably bad. In addition, Deathstrike will also be competing with Devouring Shadow! It has a tough road to hoe, but it will probably still see some amount of play. Storm really only counters 1 deck in the format. Rally style mono Fire are very vulnerable to Storm obviously, but even go-wide Time decks tend to have beefier units, or will be running Infinite Hourglass! I feel like if Primal decks have a chance, it probably involves something like Scouting Party, and that does not pair well with Storm. It will still be played, since it can really cripple someone, but it is certainly not at its best. I feel like this format is almost designed to highlight all the weakness of a card like Paladin. She is actively bad in any environment where things are more about units than spells, and we are going to be in a format where there are just a ton of units. There are just better options. All the Fire decks are going to be relatively aggressive, but this is the lower-to-the-ground version of the deck that is heavy in 1-drops. This deck will back a mean punch out the gate, but is clearly weak to flood or any cheap sweeper. You will need to gauge the amount of burnanation you want to bring, as support, but Rally is going to be dealing a lot of damage this weekend. If you feel that 1/1s and 2/1s are not well positioned, but you still want to bring the heat, maybe you should think about Big Burn! The combination of Fireballs and chump blockers is pretty deadly. Between Obliterate, Flame Blast, Flash Fire and charge units like Soulfire Drake, some version of Big Burn is going to be able to do some serious work this weekend. This deck is very similar to what SirRhino took to the top 5 of the first event. Obelisk is a very powerful card, and any deck built around it probably has a lot of potential. I am particularly interested in the deck as a method to beat up fast aggressive decks, since you should be able to clog up the ground, and then overpower them shortly thereafter. If a good control deck becomes popular this might not be the best choice, but other than that Obelisk is probably the deck to beat. The sheer power and card draw of a deck like this can out-value your opponent into submission. Think of it like Vodacombo but without Vodakhan (or combos). The exact composition of top-end finishers you want is hard to guess, but Talir and Marisen are both worth trying. This deck might just want to play Xenan Obelisk too, but it should be favored going against the lower-to-the-ground versions of the Time decks going long. There was a time that Mono Justice Aggro was a very real part of the metagame! There was also a time when Gilded Glaive was actually good. Regardless, this deck is an obvious choice for those looking to lay down the beats. I would focus on a flying have package, as I expect the ground to be fairly cluttered. Unlike last week, I think Hero of the People needs to be considered more seriously. In a format with low overall power level, she has the potential to have a bigger “ompf” than most. There have been some who have fooled around with Mono-Justice Control variants in the past. From what I have seen they are all pretty “meh”, but you get to play Harsh Rule, so that is pretty big upside. Unlike some of the other late-game oriented decks, I don’t really think Rolant is that exciting, but his Honor Guard is a much more enticing finisher. A card that I did not include, but another possibility is Plated Demolisher! He is a lot of stats for 1 card, and most decks will struggle to deal with that. It is going to take some work to fill in all the slots on the curve, but this deck might be a sleeper hit! First off, yes this deck works (I think). Since there are no Time non-power cards in the deck it does not count as a time deck, although this will need to be verified at the time of the event (although this is the only deck you can’t add Veteran Mercenary to). Second, I know this deck looks weird even without the “kinda splash time” angle. What is it supposed to do. Well, this is a deck really built around the combos of Wump + Scouting Party or Scouting Part + Crystallize. If you can connect with your Spies you are doing one of the most powerful things you can do in the format. The question is where it is worth the trouble, or if the more aggressive decks will knock you over before you get to do anything fun. I look forward to seeing what is possible, though I will warn people that this is one of the decklists I am most sceptical of. Do you like drawing cards? Do you like controlling the game and overpowering your opponents going long? Do you like winning? Well, this deck does at least one of those things, and maybe even more!! Although I am not convinced this particular approach to the deck is optimal, I feel like there should be some reasonable Primal Control deck. There are possible versions with stuff like Eilyn, Strength of the Pack and Mirror Image at the top which might be able to overpower other things that are happening, or you could just include the Scion as a finisher. If you figure it out I think your match up against Justice Control and Rally are going to be actively excellent, but there is a lot of work to do here. People who read my work a lot may have figured out that I generally use the Eternal specific terms, as opposed to things like “red, blue or green”, that are inherited from Magic. In this case I am making an exception. I have played some good Mono Black Aggro decks in the past to mixed results, and this deck takes on some of those qualities. There is a surprisingly reasonable curve of dudes, plus tricks like Madness + Devour to get through in the late game. This is probably not an archetype that everyone thought of with this event, but I think it has a chance! I am slowly being convinced that the real BAE of Eternal may be Vara. Ever since I pick up Scream Reanimator I have been hooked on the absolutely busted stuff she can do. This deck is not Scream Reanimator, but it is still something! This build it take roughly from RNG with some tweaks, and is probably better than you think. If you can survive to the late game I expect the endless chain of Varas will carry you. I also wouldn’t sleep on other potential bombs like Venomspine Hydra or Whispers in the Void. I didn’t include Touch of the Umbren or The Last Word in this build, but it might be a powerful counter to Big Time decks. I don’t know if this is the time for The Witching Hour, but I think there is only one way to find out! That is what I have for you this week! Did I miss anything? Which decks are you excited to play? What is the optimal build of Primal Control? Be sure to let me know in the Reddit thread, or in the comments. I’ll see you guys next week!